Every city has its own set of compliance guidelines for building projects. As experienced code consultants, we evaluate and make informed recommendations to meet Chicago's regulations. During the design stage, our team will edit your building design plans to comply with code and adjacency requirements, solidifying them sooner to move forward more swiftly. This also reduces awkward last-minute design solutions and the associated costs. We've noticed quite often that no one on a design team is tasked/dedicated to overseeing all of the code compliance issues that may affect design and schedule of a project. Teams then spend too much time reacting to the idiosyncrasies of the permit and review process with various codes and must reactively retool the building design. We know that understanding all code and licensing layers upfront saves time and ultimately creates more efficient spaces in the end. We’re familiar with code compliance requirements and can connect your project’s designers with the key details of code standards that might otherwise be overlooked. Our multidisciplinary team provides up-to-date code advice grounded in our years of experience and ongoing code review. 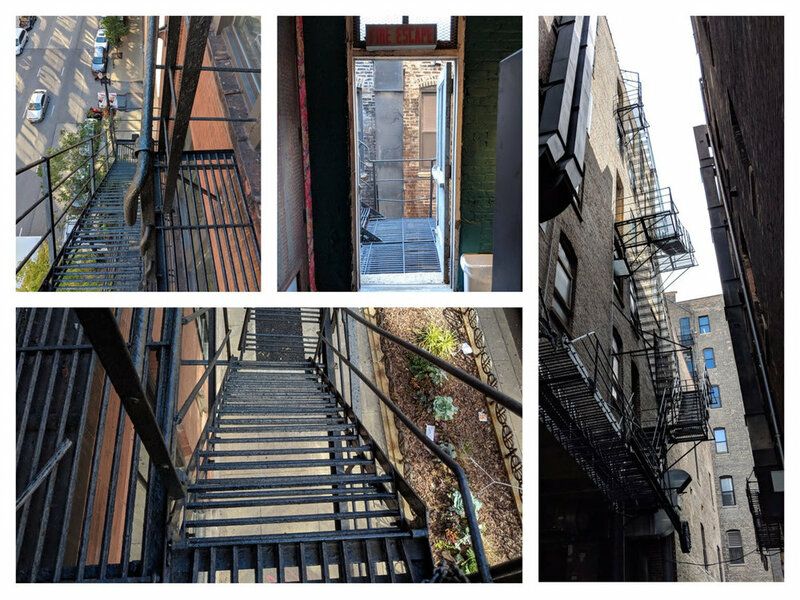 Buildings in Chicago with exposed metal structures such as fire escape stairs, metal balconies, canopies, signs, and marquees are required to submit to the Chicago Department of Buildings a Critical Examination Report once every five years. A licensed architect or structural engineer must examine the structure and complete the report. Our licensed architects will examine the applicable structures and submit the report. MAPS can also help you obtain a copy of previous Critical Examination Reports for a building if the owner doesn’t have copies.